If customers sell their products on a variety of channels such as Google Shopping, Ebay, Amazon, etc and these channels use the same database, then they can automatically update their items by importing the exported data files from the original channels. 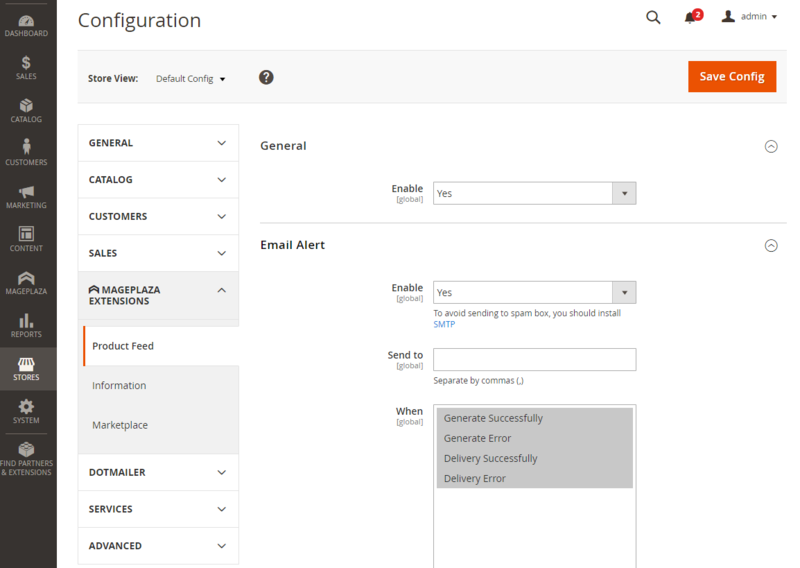 Thanks to this, store owners can save more time and manage their sales channels with ease. 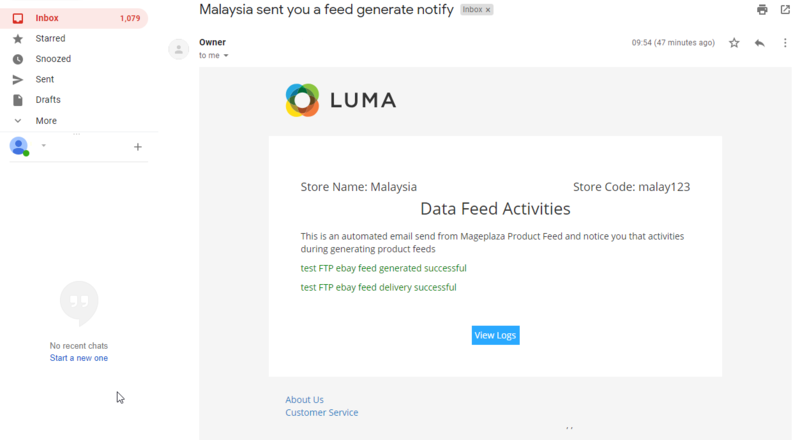 That’s also an awesome feature from Mageplaza Product Feed extension. 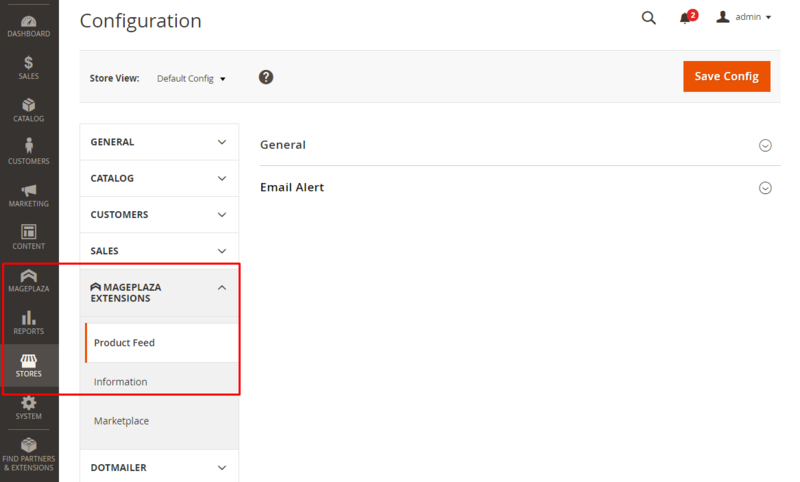 Allow entering multiple emails. These emails are separated by commas. Template Content:The template content is displayed in this field. Admins can edit the template content here. Allow adding any value you want into the Fields Map field. Please note that: The added values must be standard of Google or Facebook or Ebay, Amazon. For the FTP protocol, you can add the selection to use Passive Mode or not. We recommend that you should this mode to avoid being blocked by firewalls/NATs/proxies from sending files to the server. Step 7: Check the update history of the exported file. Admins can check the update history of the file in the Logs field. This section will record the change of feeds such as status, type, notification, etc. When you click on any file, it will automatically open the file. Click on the View Logs, it will redirect the email recipients to the Feed Logs page to view the logs details. 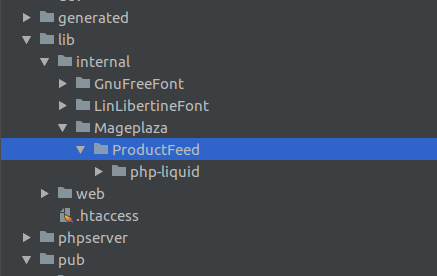 Create the folder: lib/internal/Mageplaza Go to the following path to download the library of Product Feed here Extract module-product-feed-library.zip into lib / internal / Mageplaza, rename the extracted file to ProductFeed.